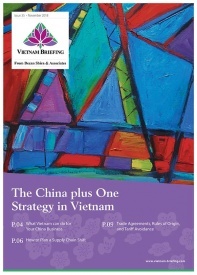 Vietnam is a significant target for companies in the consumer goods sector. The country’s blossoming middle class, shifting spending habits, and a sizable population of over 90 million is rapidly becoming the focal point for investors building up brand identity and sales networks throughout the Association of Southeast Asian Nations (ASEAN). As the fundamentals of the Vietnamese economy continue to fall into place, foreign companies who are able to develop and implement effective market-entry strategies will be well positioned to gain increasing market share in the years to come. For the largest players, Vietnam’s demographics and proximity to other markets present an opportunity to establish localized production and to expand distribution networks through mergers and acquisitions. Small and medium sized players, however, for whom the costs of setting up can often be inhibitive, increasingly turn to third-party logistics providers to boost their sales and build brand identity within Vietnam. In general terms, third-party logistics, or 3PL as it is commonly referred, involves the outsourcing of logistics functions – such as customs clearance, storage of products, and order fulfillment – to a third party. Depending on the 3PL provider and range of services utilized, third party logistics can completely remove the need for a foreign company to establish a market presence in Vietnam. Instead, all operations can be run out of a single regional management center where the costs and risks of doing business are lower. What types of third party logistics services are available in Vietnam? 3PL providers can offer a variety of services to companies seeking to outsource logistics functions in Vietnam. For those unfamiliar with the third party logistics industry, the following lists common 3PL services in Vietnam ordered in terms of their rates of usage by foreign investors currently engaging 3PL providers. Which companies will benefit from 3PL services? The decision to engage a 3PL provider and the exact services required by a company will ultimately ride on the findings of a cost-benefit comparison between the acquisition of physical assets to facilitate distribution and the engagement of a local 3PL provider to handle these tasks. 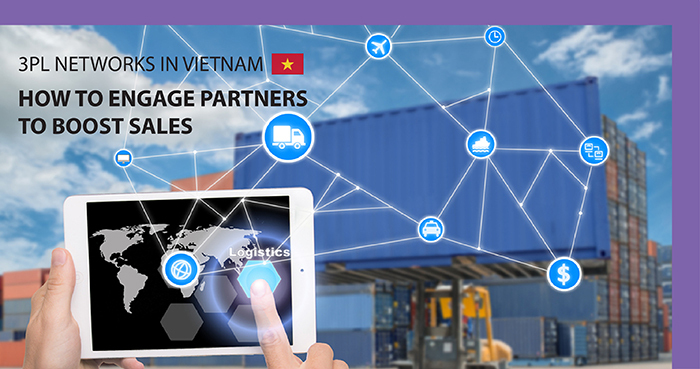 While each company will differ in terms of its products and business strategy, 3PL providers are generally of greatest utility to mid-market players seeking to explore the Vietnamese market for the first time. 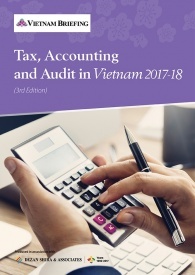 Particularly for those with low headcounts, the resources needed to fully commit to the Vietnamese market may make market entry a daunting task. In these cases, the low-profile approach provided through 3PL allows companies the flexibility to build up name recognition and sales while temporarily avoiding the capital-intensive process of establishing a foreign-owned trading company. How to structure 3PL networks to boost sales? Companies must choose a corporate structure that reflects their desired level of involvement in Vietnam. Below, we outline two of the most common low-cost 3PL entry strategies – selling into the Vietnamese market without a legal entity and outsourcing order fulfillment while maintaining a representative office to facilitate sales. Both of these options perfectly suit SMEs seeking to explore opportunities and expand sales networks within the Vietnamese market. Companies with existing Vietnamese customers can often utilize 3PL providers to handle the entire logistics process and remove the need to maintain a physical presence in the county entirely. Under this structure, 3PL providers import goods on behalf of the foreign company, handle the customs process, store goods for the company within Vietnam, and fulfill orders on behalf of the company throughout the country. For firms with concerns over establishing a physical presence in Vietnam, fully outsourcing operations to a 3PL provider may be a good first step towards becoming more comfortable with the Vietnamese market. However, it is also important to point out that the range of services provided by the 3PL, in this case, will likely come at a significant service fee. Furthermore, it may be difficult to maintain and expand relationships with current and future customers without a more significant on the ground presence. 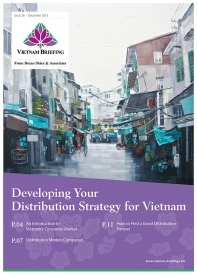 As such, distribution under a fully outsourced model is only recommended for companies confident in their ability to fill orders in the near to medium term and require an immediate solution to distribute their goods within Vietnam. This is a particularly good option for companies which have managed to effectively market their goods to large buyers on a wholesale level and therefore do not desire to further expand their networks within Vietnam. An increasingly common structure involves the establishment of a Representative Office (RO) to supplement the services of 3PL providers with sales and marketing support. ROs provide a much lower investment profile compared to establishing a 100 percent foreign owned entity (100% FOE) and allow investors to minimize financial exposure while maintaining direct connections with 3PL providers and customers. ROs are faced with lower capital requirements and setup times and are not subject to corporate income tax as they are prevented from directly invoicing clients. 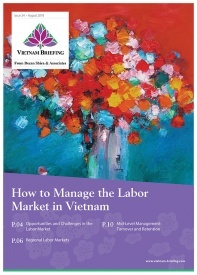 Under current Vietnamese law, ROs are limited to hiring staff to conduct marketing and market research activities and are not permitted to revive incoming payments. 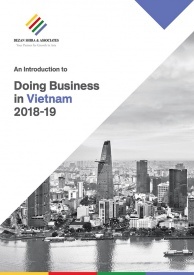 While preventing investors from billing their clients within Vietnam, the RO structure does allow foreign companies to maintain a sales team within the Vietnamese market while outsourcing the import and distribution of goods to a 3PL provider. Compared to the costs associated with 100 FOE setup and the lack of on the ground presence stemming from a fully outsourced distribution operation, supplementation of 3PL services with RO sales support is currently the preferred method of entry for SMEs. While Vietnam continues to provide among the most attractive consumer markets regionally, it is far from the only market where opportunities lie. Increasingly, companies choose to target not one but many markets in Southeast Asia for expansion simultaneously. In these cases, it often makes sense to establish a regional management center in Asia from which to base operations. This center will be able to handle the contractual relationships with 3PL providers – an area beyond the legal scope of representative office operations – and to handle the invoicing of clients in some cases. 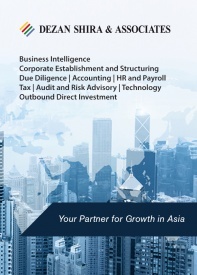 At present Singapore is the best-positioned location from which to base operations due to its extensive trade and tax agreements covering Vietnam, other ASEAN members, as well as many of home markets for Vietnam’s current investors such as China, the United States, the European Union, Japan, and Korea. Finally, following the selection of a market entry method, investors must select a 3PL provider that can effectively support their agenda in Vietnam. While 3PL firms are in ample supply, these partners will take on a significant degree of control over the storage and transport of a company’s goods. As such, there is potential for the quality of goods and service provided by the 3PL to influence the reputation of a good or brand, particularly in the initial stages of a company’ entry into Vietnam. Consumption centers in Vietnam are spread across the country. Ranging from Ho Chi Minh City in the South, to Da Nang in the Center, and Hanoi in the North, it is important for investors to understand consumption trends within their respective business lines and to engage a 3PL provider that can store and possibly transport goods between these targeted locations effectively. Many firms entering the market find that it is more effective to engage with separate 3PL providers in different locations within the country to ensure that they are able to provide the most effective delivery to their clients in every location. In addition to geographic coverage, it is important to select a 3PL provider that has the capacity and specialization to transport the goods that a company wishes to distribute in Vietnam. For frozen goods and other items requiring the use of cold chain logistics networks, specialized transportation equipment and storage will certainly be required. In these cases, vetting 3PL providers prior to engagement will ensure that they are able to are able to provide the storage and transport specifications to meet the standards of a given product. More generally, companies should review 3PL providers to select a firm that can provide the services needed to implement their market entry strategy. This will include assessing firms based on their ability to invoice clients, clear goods through customs, or conduct other aspects of logistics outsourcing required for a given operation. Each firm will likely have different services and a be able to provide a different range of services depending on the part of the country that they are operating in. Finally, due diligence on 3PL providers is the most important consideration from a brand reputation perspective. Given the opaque nature of Vietnam’s business environment, investors often struggle to assess the reputation of 3PL providers from outside of the country. This, along with ongoing coordination with clients often forms the basis for investors decisions to set up a representative office to further expand their operations in Vietnam.